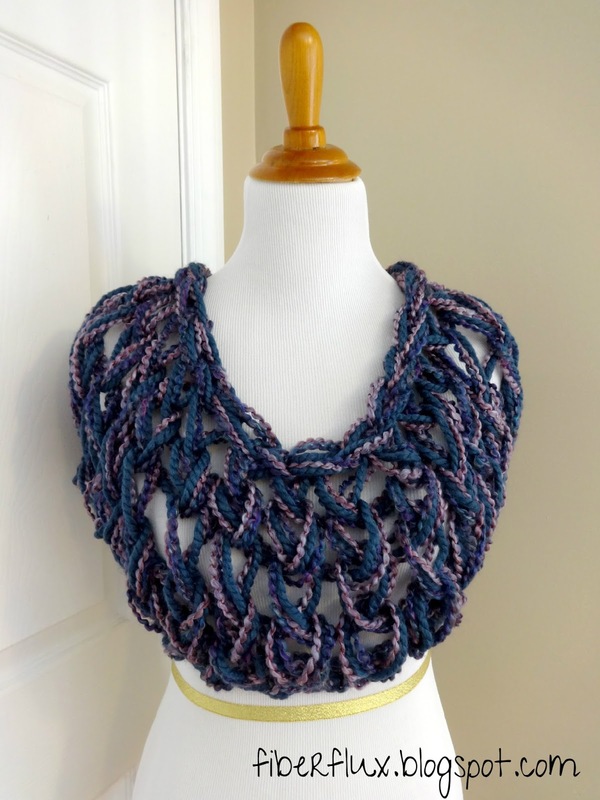 Fiber Flux: Free Knitting Pattern...Arm Knit Button Wrap! Free Knitting Pattern...Arm Knit Button Wrap! 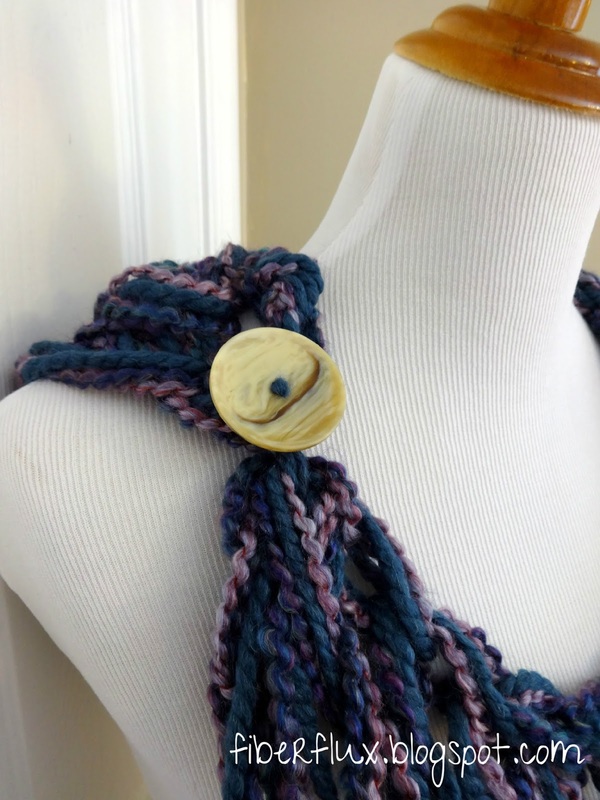 The Arm Knit Button Wrap is a versatile wrap that is easy to make in very little time. 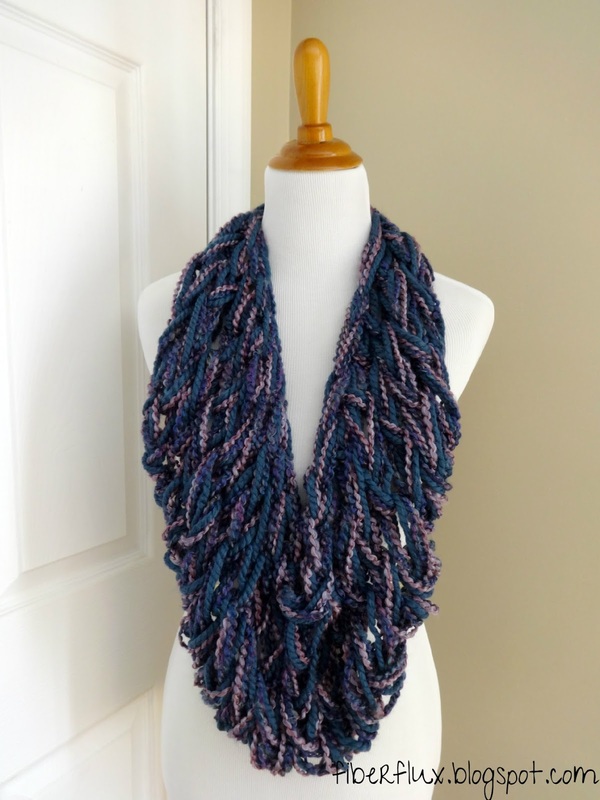 The wrap is worked with three strands of your favorite bulky yarn, plus a large button to close and keep it in place. Check out the photos to see the many ways to wear it! 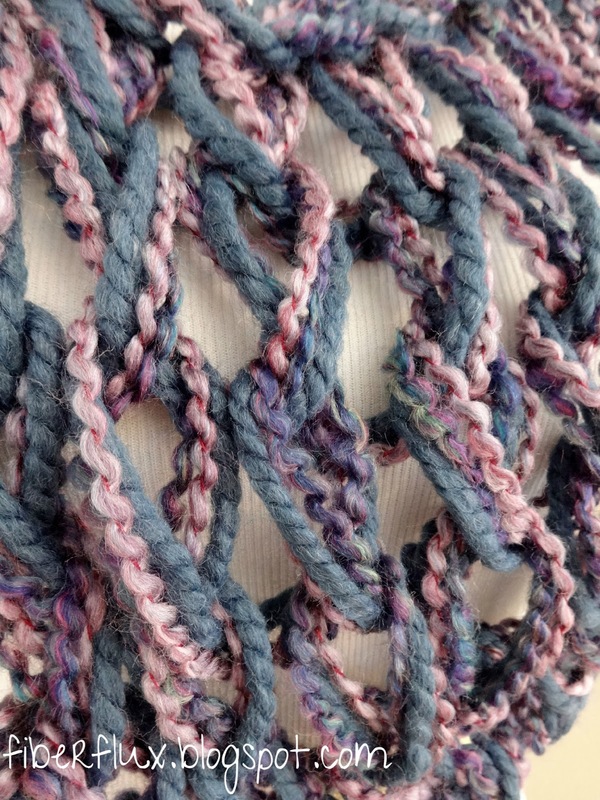 Be sure to also scroll down to watch the two videos below if you have never arm knit before. Note: Measurements were taken with garment laying flat on a table and not stretched out. To wear it a a long cowl/infinity scarf, wear it with the button at the nape of the neck and let the front hang down low. Repeat row 1 for a total of 4 rows. With wrong side (purl ridges) facing, fold sides inward and determine button placement. 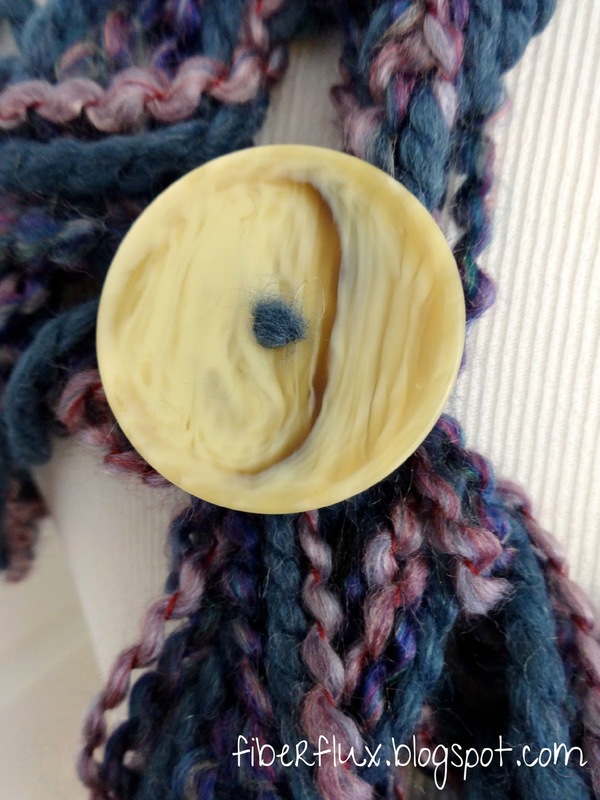 Sew button to upper corner of piece with a matching piece of yarn. Weave in any ends that remain. Thanks so much for such a kind comment! I am very glad you like it! Love how this turned out for you - I think I will try this pattern soon, especially since it's still cold out. Interesting but it seems to me that you would have to insure you have oodles of time and no distractions in order to make something in one sitting. I don't see how you can take the stitches off your arms without them getting messed up. It takes less than thirty mins to make. No need for breaks! Seriously, 20 minutes if you have a baby at home and have to fit in your knitting whenever you can! I bought three skeins of Homespun yarn just because it was on clearance and hadn't been able to find a pattern I liked for over a year. Just finished this project and I love it. Even if I have to weight a few months to wear it. Certainly more regular with wool than cotton yarn. Thank you ! Awesome, what a lovely knitted wrap. I want to try this, thanks for the video tutorial too. Nice color and the yarn used is great.